Everyones favourite flower is back in season! That`s right, beautiful Peonies. 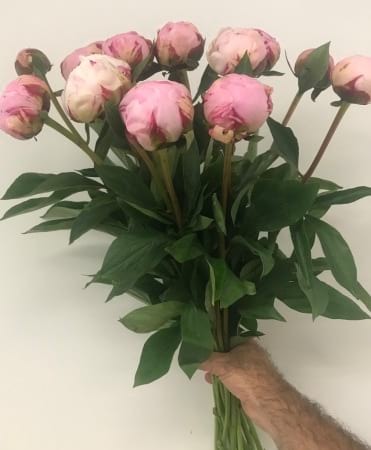 With the choice of either peonies in a simple bouquet wrappped in paper, or arranged in a vase with greenery, there is something for everyone. PLEASE NOTE colours and availability are subject to change day to day. If you would like a specific colour peony (pink or white) please let us know in the note section of your order. Otherwise, we will choose, depending on the best quality available that day.